A new device designed to be used as a part of a programme to combat Androgenic Alopecia in clients visiting hair loss clinics or doctors’ offices has been cleared by the Food and Drug Administration in America. 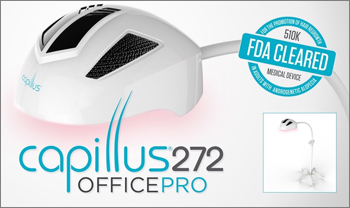 The Capillus 272 OfficePro is a free-standing variation on existing Low Level Laser Therapy (LLLT) devices. It follows on from the Miami-based company’s Capillus 272 cap device, which is designed to be used at home. According to Capillus, its OfficePro has shown ‘the capability to increase hair growth by improving circulation and cellular metabolism in and around hair follicles’ in a matter of weeks. Furthermore, for the test subjects, the level of ‘patient confidence and scalp health’ is also said to have improved over time. This type of laser therapy is becoming increasingly popular for both men and women with genetic hair loss – more commonly known as Male Pattern Baldness or Female Pattern Hair Loss. Many new products have been developed in this area recently, including helmet-styles like the iGrow and the Theradome which emit LLLT directly through the hair to the scalp. This works by increasing circulation and boosting cellular metabolism in the scalp, in order to boost hair growth. 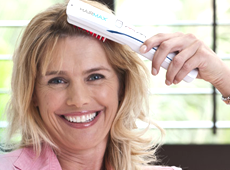 However, the original, award-winning HairMax LaserComb holds an additional patent in relation to its combing technique, which allows the laser’s rays easier, more direct access to the scalp, rather than just the hair. Although LLLT will not treat hairloss on its own, it can prove a beneficial regrowth boosting companion to clinically-proven hair loss treatment courses by helping the topical treatment minoxidil to circulate effectively. 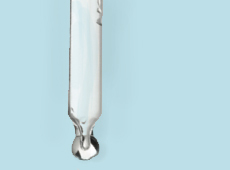 Given other efficient LLLT products already exist, including ones which can be used both in-clinic and at-home by clients, what prompted the company to develop this latest medical device? Capillus says in a press statement that offering an LLLT hair therapy product specifically for use in hair loss clinics or other treatment centres was particularly constructive as it can ‘help physicians guide men and women along their journey to a fuller head of natural hair’. Having a one-to-one session with a hair loss specialist is undeniably a valuable experience for anyone concerned about thinning hair; indeed, LLLT plays a pivotal role in some of Belgravia’s clinical therapy treatment sessions. This intimate service allows trust to build between the client and the advisor, and also allows for any issues to be addressed straight away. From advice about using treatments or hair washing, to tweaking treatment course components to ensure clients are always on the most effective and suitable courses at any given time, particularly as their lifestyle changes, it can be a huge relief for clients to have someone to talk to about their concerns. Capillus was granted a 510(k) clearance by the FDA for its 272 OfficePro model. This relates to the safety and effectiveness of new medical devices and FDA clearance must be obtained before they are introduced to the market. The HairMax LaserComb is also FDA cleared for use by both men and women, and these are provided free of charge to Belgravia clients when they purchase annual treatment plans. For more information on at-home or in-clinic LLLT hair growth boosters, please contact the clinic on 020 7730 6666 or send us a message. Does the LLLT or Using a LaserComb Treat Hair Loss? Pharmaceutical company Cellmid Limited has produced a new hair loss product called évolis ONE which has shown promising results in an independently tested, blinded, placebo-controlled clinical study. The spray-on product is designed to treat genetic hair loss in both men and women with minimal side effects and has various patents pending in connection with its formula. According to reports on the B3C newswire and the évolis website, there have been ‘strong positive results in all measured areas of its independently conducted, randomized, blinded and placebo controlled human clinical study of the évolis ONE formulation’. The product is made in Australia and took 12 years to develop. It is said to have demonstrated ‘efficacy in reducing hair loss, increasing hair growth and improving hair recovery and release’ during the trials, which were carried out by an independent CRO in New York (AMA Laboratories, INC) that specialises in dermatological product testing. These results make Cellmid Limited, through its subsidiary Advangen Limited, the first company to introduce a clinically-validated FGF5 inhibitor hair growth product to the market in the form of its’ tonics. The évolis tonics – one for men and one for women – are topical formulas which the website claims ‘May benefit in reducing hair loss, leading to the appearance of thicker hair’. They feature botanical extracts including poterium officinale, rosa multiflora, eriobotrya japonica, ginkgo biloba and swertia chirata. For best results, users are advised to apply three-to-five sprays of the tonic twice daily – once in the morning then again in the evening. It should be massaged into the affected areas after shampooing, and the hair can be wet or dry during application. The manufacturers advise users ‘will need to use évolis for a minimum of 16 weeks, twice per day every day’ in order to see results. Continued use of évolis is also recommended to maintain any results obtained, as is complimenting the tonic with shampoos from the range which also contain botanical extracts, as well as a ‘unique Catch and Release polymer to assist with volumising’. FGF5, or ‘Fibroblast growth factor 5’ is a naturally occurring protein found in the body that is programmed by the FGF gene. It speeds up the hair growth cycle and determines hair length. Restraining FGF5 has been found to extend the Anagen (growth) stage of the hair growth cycle in mammals, including cats and mice, producing long hair. As it also impacts the human hair cycle it is of significant interest to scientists researching hair loss treatments and cures. The Nishinihon Journal of Dermatology published a paper entitled ‘ “Sanguisorba Officinalis Root Extract Has FGF-5 Inhibitory Activity and Reduces Hair Loss by Causing Prolongation of the Anagen Period” in 2007. Since then many companies have tried to harness FGF5 to produce the next generation of treatments for Male Pattern Baldness and Female Hair Loss. Whilst inhibiting FGF5 can help to prolong the hair growth phase, an excess of FGF5 has the opposite effect, leading to the hair prematurely entering the Telogen, or ‘resting’ phase, causing hair to fall out. Objective, independent clinical trials of évolis ONE were carried out on 32 otherwise healthy individuals, aged between 31 and 55, with androgenetic alopecia. Men taking part measured between 2 and 4 on the Norwood scale, whilst female subjects registered I-2 to II-2 on the Ludwig scale of hair loss. The trials lasted 112 days (16 weeks) and products were applied twice daily. Gravimetric Determination methods were used to analyse the impact of évolis ONE in reducing genetic hair loss over 112 days (16 weeks) with twice daily use. Findings showed this resulted in an 80.2% reduction in hair loss. When testing the ‘hair differentiation’ – the ratio of growing (anagen) hairs to resting (telogen) hair follicles – results gathered based on the Van Scott “hair pluck” method found an anagen increase of 44.2% over the same period . PhotoGrammetrix™3 measurements, a form of visual assessment using scientific photographs, used to gauge the general improvement in hair quality and volume showed an increase of 143.3%. This visual evaluation was reportedly conducted by AMA’s Institutional Review Board. A 51 subject Repeat Insult Patch Test (RIPT) exploring skin irritation and sensitisation was also carried out by AMA Laboratories and was said to result in a “zero adverse event” report. However, évolis warns users that those ‘who suffer from a skin condition such as eczema, psoriasis or sensitive skin may experience irritation and/or a dry, itchy scalp’ and advises them to carry out a patch test first to assess their sensitivity. Darren Jones, Head of Product Development at Cellmid, added, “These are very exciting and valuable results expected to support stronger clinical hair growth claims of this proprietary product. FGF5 is well recognised as the ultimate controller of hair loss. We are excited to be the first on the market with a clinically validated product range addressing FGF5” he added. Leonora Doclis, Senior Trichologist at The Belgravia Centre said, “The exploration of FGF5 inhibitors is an innovative approach to developing new hair loss treatments and the results of évolis’ in vitro tests suggest this could be an exciting area to explore. However, as these tests were carried out on a fairly small scale, it would be interesting to see wider-ranging research carried out into the efficacy of these tonics used both on their own and in conjunction with other existing hair loss treatments like minoxidil. As the évolis formula comprises four botanical ingredients it may prove a good, natural hair growth booster to use alongside medically-proven hair loss treatments”. Rogaine (known as ‘Regaine’ in the UK) has recently launched a new once-a-day foam treatment for female pattern hair loss with 5% minoxidil, in the United States. The new product has been introduced in addition to Rogaine’s existing product for women, which is a twice-per-day solution containing 2% Minoxidil. Is Minoxidil foam effective for treating hair loss? According to reports from the manufacturer, clinical data showed that use of the product for 24 weeks results resulted in ‘some’ hair regrowth for 81% of the women who took part in the trial. However, it is not known what level of regrowth was achieved by these users or the stage of their hair loss when they started these trials. Although the foam format of the product is designed to make it ‘fit into the regular beauty routine’ of the user, the evidence suggests this is probably less effective than a liquid product of the same strength. An ongoing Belgravia survey has discovered that men who have used the 5% liquid Regaine reported better results than those who have used Regaine 5% foam. The reason for this may be to do with how effectively a foam is able to reach the scalp and soak into the skin. In order for a foam product to work as intended, it needs to be applied directly to the scalp to enable it to penetrate the skin. The directions for the Regaine foam products do instruct the user to massage it into the scalp, but it’s likely the hairloss product would also be absorbed into the hair by applying it in this way, meaning less of the foam gets to the affected areas. Minoxidil is the only medically-proven treatment for genetic hair loss in women. It is medically licensed by the MHRA in the UK and approved by the equivalent body, the FDA in the USA. Minoxidil encourages hair growth by reactivating dormant hair follicles. When applied to the scalp and absorbed into the scalp, minoxidil is converted into ‘minoxidil sulphite’, which is thought to activate potassium channels in cells, stimulating growth. Whilst minoxidil has been seen to successfully reduce hereditary hairloss and boost hair growth for many, the degree of success will depend on the specific individual’s stage of thinning and the duration of their condition before seeking professional assistance. If you are concerned about thinning hair or female pattern hair loss it is best to seek expert advice as soon as possible. Belgravia’s hair loss experts recommend customised, comprehensive women’s hair loss treatment programmes featuring recommended minoxidil formulations and boosters, based on their diagnosis of your condition. These bespoke treatment plans are designed specifically for each client and our patients – as well as many of their friends and families – are often amazed at the results they experience. You can find out more about the range of high strength minoxidil products available from Belgravia’s in-clinic pharmacies by calling us on 020 7730 6666. There are many examples in our photographic Hair Loss Success Stories of clients who have used our treatments to fight female hair loss. These include Diane, pictured here, who said of her treatment, “Very happy and I can see results within the first year“. Click on the photos to view her Success Story in full. "What's the Difference Between Belgravia Minoxidil and Rogaine for Women?" New products designed to conceal hair loss are always being released, but the latest ‘KeraFiber’ powder promises to thicken the appearance of your hair instantly. Is this new craze just a flash in the pan, or does it provide real results for men and women affected by hair loss? With eight million UK women with hair loss and a quarter of men affected by thinning hair by the time they are in their 30s, a product designed to conceal hair loss is sure to be in demand. KeraFiber is made from keratin, a protein naturally found in our skin, hair and nails. Statically charged fibres work by bonding to the user’s natural hair, for a secure hold. This thickens the appearance of the hair and can be set by using hairspray. The product is already proving popular with celebrity hair and make-up artists in the US and is now available in the UK. Fibre hair loss concealers are nothing new – Toppic and Couvre came out 30 years ago, and Nanogen previously released their ‘Nanofibres‘ product, which also uses microscopic keratin fibres to artificially add thickness and volume to hair. The fibres come in a pepper pot-style shaker which is applied to the scalp for a supposedly natural looking effect. It is worth noting that keratin fibre concealers can only be used if you have some hair remaining on your scalp. They are not suitable for anyone who is completely bald and, if the underlying cause of your hair loss is not treated (as opposed to masked) your hair may continue to shed until these concealers no longer work. These keratin fibre concealers may be a ‘quick fix’ option for anyone looking to conceal hair loss or thinning hair, but remember they simply mask symptoms rather than treating the root cause of hair loss. The average person sheds around 100 hairs a day, but if you have started to notice more hairs than usual in your brush or on your pillow, it’s time to see a professional hair loss expert who can diagnose the cause and prescribe a personalised hair loss treatment plan, if appropriate. There are many different hair loss conditions, from genetic baldness, through to autoimmune conditions such as Alopecia, or lifestyle-related hair loss – many of which can be treated. The best treatment plan will vary according to what kind of hair loss you have and how advanced it is. An American company claims its new Theradome laser helmet is the first wearable laser scalp treatment to “stop hair loss, thicken existing hair and grow new hair”, but can this helmet really cure baldness? Designed by a former NASA scientist, to be worn twice per week for 20 minutes at a time, the headgear is marketed more towards women with hair loss issues as, currently, the Theradome has only been FDA-cleared for use by women with their FDA clearance for men still pending. 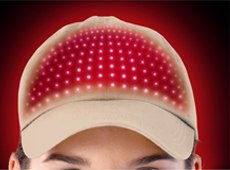 The cordless hair restoration device uses 80 cooling lasers that provide over 560 mW of low level laser therapy. This is meant to grow new, healthy hair whilst doubling the hair follicle size of existing hair, in addition to slowing down or stopping hair loss, with no side effects. Theradome claims to show results over a period of over 100 weeks. After 18-24 weeks Theradome advises your hair will be ‘cleaner, more manageable…with improved lustre and fuller body’, with thicker, longer hair and a healthier scalp occurring after 26-50 weeks of continued use of the helmet. From 52 weeks they say you will start to see ‘the hairs on the top of the head and the vertex will start filling in’, then from the 100 week treatment mark onwards, Theradome claims users will experience ‘fuller and thicker hair will result with continued use’. Two clinical trials were conducted by Theradome and their results state that the hair loss helmet was proven to regrow hair in 98% of users. Additionally, the studies found that hair thickness, volume and density increased by 200% within six weeks. Our highly respected hair transplant partner, Dr Bessam Farjo, told the Daily Mail: ‘I do believe that laser technology has validity, but I’m sceptical of the specific claims made by Theradome GB that this particular headgear has the ability to increase the hair shaft diameter by 200 per cent. I have not seen any scientific evidence to support this. From the information available, this helmet appears to be potentially more of a hair growth booster rather than a hair loss treatment. Whilst hair growth boosters are an integral part of any full hair loss treatment programme, for optimum results they should be used alongside specialist medications developed to stop hair loss and start the regrowth process. 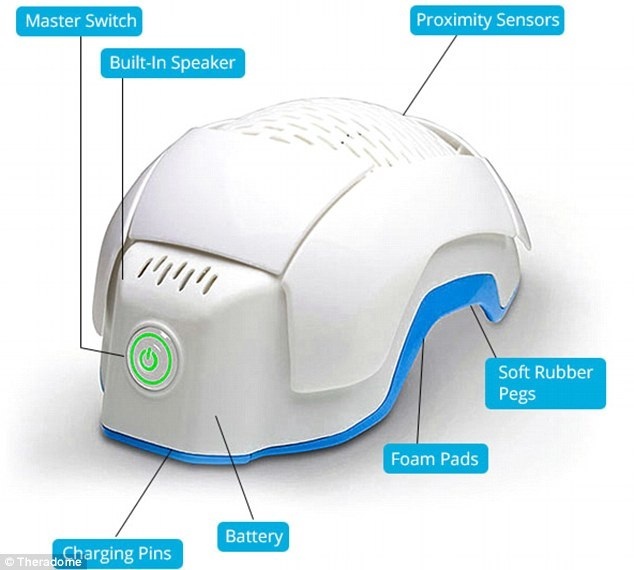 The laser therapy operates in a similar way to the convenient HairMax LaserComb which, unlike the Theradome, is FDA-cleared for use by both men and women. A complimentary HairMax LaserComb can be included within most of Belgravia’s treatment courses. These types of Hair Growth Boosters work primarily by stimulating the scalp to increase blood flow to the area, reducing inflammation of the scalp which can also help with scalp conditions such as dermatitis. This stimulus encourages hair growth, allowing the regrowth medication (usually Minoxidil) to work more effectively, whilst maintaining the condition of the hair and scalp. If you would like our hair loss specialists to provide personal advice on the best course of treatment for your condition, call us on 020 7730 6666 or send us a message to book your free consultation. 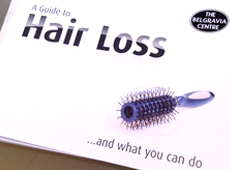 If you are unable to get to either of our Central London hair loss clinics, just complete our Online Diagnostic Form. Regaine Foam – How Effective is Regaine Foam for Hair Loss? The active ingredient found in Regaine foam (known in the US as ‘Rogaine’) is minoxidil (5%), which is the same active ingredient and dose, as Regaine’s classic Regaine 5% minoxidil liquid. The only difference between the two, which is also the selling point, is that the form of the new product is a foam or ‘mousse’ as opposed to a liquid. The TV advert features a man spraying some foam on his hand and applying it to an area of thin hair on his crown. Our initial thoughts about the product are that it won’t in fact be as effective as a liquid minoxidil formulation. If applied correctly, a liquid can be placed directly on the scalp and optimally absorbed. Even if some of the liquid lands on the hair, the laws of gravity will ensure most will drip onto the scalp as required. With a foam, however, it will be very difficult (almost impossible, in fact) for all of the product to be applied to the scalp and we would imagine the majority would be absorbed by the hair, depending of course on the thickness of the user’s hair. If you observe the TV advert for Regaine Foam, you will notice that when the user applies the foam, none actually seems to reach his scalp, but instead gets absorbed by his hair. Absorption into the hair would be of no use to somebody wishing to prevent thinning hair, as it is required that the product penetrates the scalp in order to reach hair follicles. 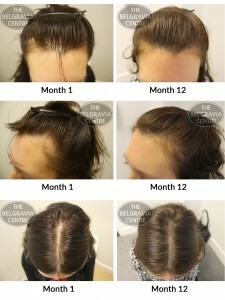 An ongoing survey carried out by The Belgravia Centre has found that people who have used Regaine 5% liquid have in fact reported better results than those who have used Regaine 5% Foam. This is likely because of the texture and method of application, as mentioned above. 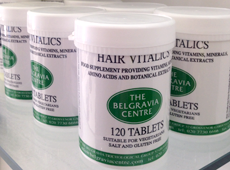 There are a number of high strength minoxidil formulations available from The Belgravia Centre. To find out more, please contact the clinic. Alpecin Shampoo – Does it Prevent Hair Loss? Question: Do you offer Alpecin shampoo in your treatment regimes? If not, why? Answer: Alpecin is a shampoo, which would be heavily diluted with water when applied to the scalp (in the shower or bath). It is unlikely that any of the product would be absorbed into the scalp to stimulate the hair follicles. Aside from this fact, there is currently no significant evidence that caffeine has prevention properties for hair loss in humans. In previous lab tests, caffiene was seen to block DHT (the hormone that causes genetic hair loss) when applied directly to individual hair follicles, but these conditions are very different to those when washing your hair with a shampoo. 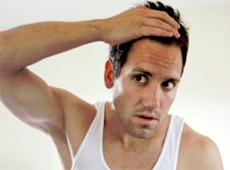 There are however treatments that are proven to prevent and reverse hair loss. Find out about them here. More information can be found on an earlier Alpecin story. Laboratory tests on a chemical compound called astressin-B has shown ‘astounding’ results for hair regrowth, with the effects lasting up to four months after just one jab a day for five days. Researchers from University of California Los Angeles (UCLA) were studying mice with gut problems that were genetically altered to overproduce the stress hormone corticotrophin-releasing factor (CRF). The chemical compound astressin-B – thought to obstruct CRF – was then injected into the balding mice. “Our findings show that a short-duration treatment with this compound causes an astounding long-term hair regrowth in chronically stressed mutant mice,” said Dr Million Mulugeta of the David Geffen School of Medicine at UCLA. “This molecule also keeps the hair colour (and) prevents the hair from turning grey,” he told the AFP news agency. 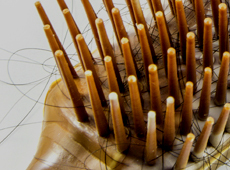 ”This could open new avenues to treat hair loss in humans,” Dr Mulugeta added. Minoxidil – one of only two current treatments medically proven for hair loss prevention, was similarly discovered by accident. It was observed that people using minoxidil as a treatment for high blood pressure were growing unusual amounts of excess hair. “it is difficult to tell whether this treatment would work for humans”, said Leonora Doclis of The Belgravia Centre, “but if it had a similar effect on genetic hair loss then the future could be very promising for hair loss sufferers. The current treatments are very effective but to be able to completely reverse total baldness would be revolutionary”. The potential use of astressin-B in human hair loss cases was boosted by the research team’s assertion that no sign of toxicity appeared after extensive tests on the mice. However, human hair loss treatments with astressin-B – if they even come about– may take around five to 10 years to transpire and whether the treatment will be equally as effective for humans, whilst ensuring safety, is still unknown. The next 10 years could prove to be revolutionary for hair loss sufferers, with the possibility of a number of new treatments on the horizon, including treatment related to stem cells and the new discovery of astressin-B. In the mean-time, there are two clinically proven treatments that are highly effective in preventing hair loss and regrowing hair for those with moderate to severe thinning hair. View before/after hair growth photos and feedback from people using specially tailored combinations of these treatments, with added hair growth boosters. Popular hair straightening salon treatment Brazilian Blowout became the centre of a lawsuit last week after stylist Kimberley Ryley filed a civil action against the company in America. Her decision was sparked by a recent Health Canada warning that was issued against the product after it was found to contain 12 per cent formaldehyde, 60 times the legal limit for cosmetics, and a potential trigger for hair loss. The treatment, popular with celebrities including Jennifer Aniston, Nicole Richie and Lindsay Lohan, de-frizzes hair making it easier to straighten and minimising the need for blow drying or styling over the 12 week period that follows treatment. To achieve this ‘wash and wear’ hair, a treatment of up to 90 minutes is necessary, where hair is washed, treated with the Brazilian Blowout solution and then flat-ironed. The treatment is only available in salons. However, following a series of complaints from users of Brazilian Blowout, with symptoms including runny nose, burning eyes, and hair loss; Health Canada launched a full investigation into the reputedly formaldehyde-free product. Following a series of laboratory tests, which appeared to show exceptionally high formaldehyde levels, they issued a full warning on 7th October. This was quickly followed by the Oregon Health and Science University’s Centre for Research on Occupational and Environment Toxicology’s (Oregon OSHA) release the following day recommending all stylists administering the treatment wear protective clothing and ensure clients are fully informed about the risks. The news attracted the eye of Kimberley Ryley, a hair-stylist who frequently applies Brazilian Blowout to clients’ hair, and has a history of ill-effects following each treatment. Upon hearing the news, she launched a class action lawsuit against the company which has since received emails from over 200 stylists and product users who wish to be included in the suit. It’s quite a blow for the ‘formaldehyde-free’ product; although it is unclear whether the potentially toxic levels of formaldehyde are permanently present in the solution or created when heat is applied, through straightening or blow drying. As both of these steps are necessary to use the product, if either claim is found to be true, Brazilian Blowout could also find itself facing a lawsuit for international deceit. Brazilian Blowout’s response so far has been vehement denial. When the news first broke, they suggested that Health Canada had perhaps mislabelled a chemical present in the solution as the hair-loss culprit formaldehyde. They have also commissioned an air monitoring study in a typical salon environment. This took place on 9th October and appeared to show safe levels of formaldehyde in the atmosphere when treatments were performed. A press statement of the results followed soon afterwards. Interestingly, the company does not deny formaldehyde is created during use, only that the levels emitted are not toxic. This debate looks to be ongoing for a while, and will require extensive research on both sides of the case to prove or disprove the potential dangers of the treatment. In the meantime, it will be interesting to see if our favourite poker-locked stars start sporting a curlier look to avoid the threat of hair loss.